Itâs Cooler in Pooler! Meticulously maintained home located in Raindance subdivision at Pine Barren Plantation! Step inside the grand 2-story foyer entry to be greeted by an inviting great room with a wood burning fireplace. A lovely arched opening leads you to the separate dining room and kitchen complete with a breakfast bar, breakfast area, and plenty of counter space! Located upstairs you will find the large master bedroom with accented tray ceiling. Ensuite bathroom features a separate shower and jetted tub. 3 additional spacious bedrooms and full bathroom are also upstairs. Enjoy the privacy from the fully fenced backyard with patio making this the perfect spot for entertaining family and friends, grilling out, or relaxing under the summer sun! Take advantage of the neighborhood amenities that include a clubhouse, pool, fitness facility, and tennis courts! Walk to School! 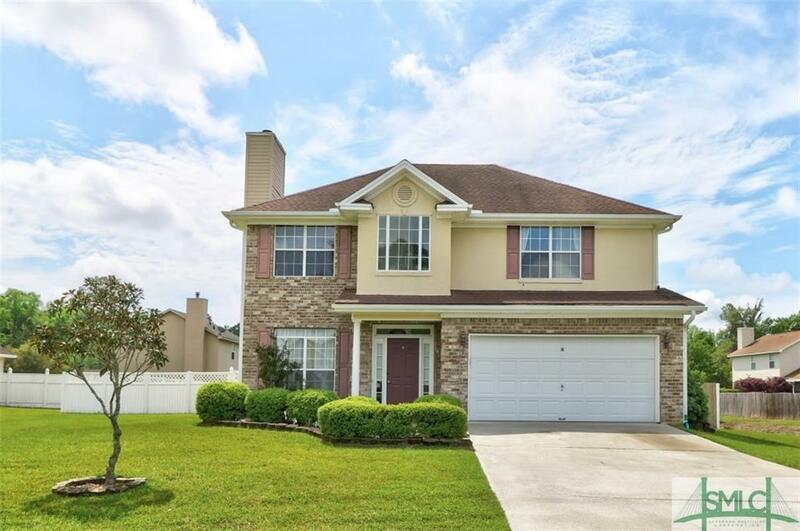 Close to Gulfstream, JCB, Savannah, Downtown, and the Savannah Hilton Head airport.